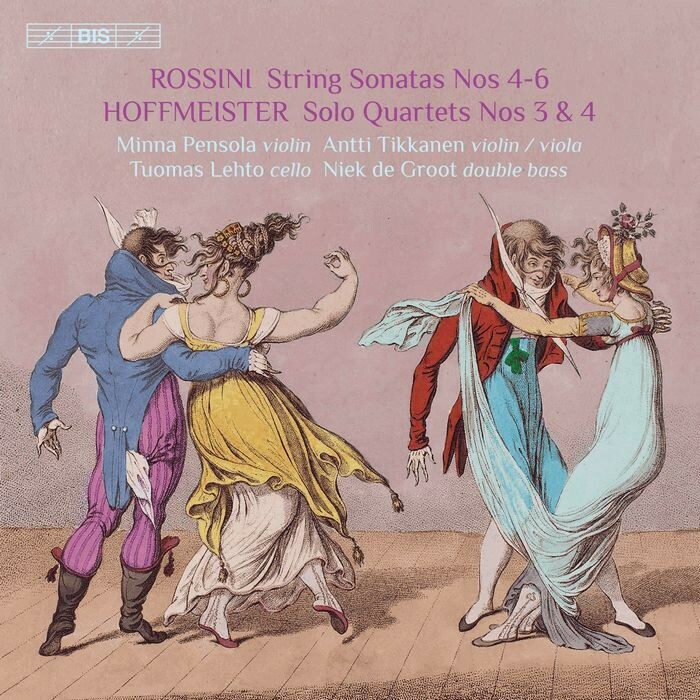 This second and last volume completes two different sets of string quartets: the four so-called Solo Quartetsby Franz Anton Hoffmeisterand GioachinoRossini's six String Sonatas(or Sonatea quattro). Both sets differ from the 'normal' configuration in that they allow a double bass to take part, albeit in different roles. Rossini, who composed his sonatas at the age of 12 (! ), left out the viola and gave the double bass a more or less conventional bass role –apart from the occasional virtuosic outburst. The sonatas were first published in an arrangement for traditional string quartet and are often heard performed by string orchestras.In Vienna, where he was active as a composer and music publisher, Hoffmeister(1754-1812) chose a different solution than Rossini and gave his double bass player a leading role in the ensemble, letting it replace the first violin. It was no coincidence that this happened in Vienna –considering the amount of solo works for the double bass composed there, the standard of playing must have been exceptional. On the present recording, it is the Dutch player Niekde Grootwho takes up Hoffmeister'schallenge in the company of a Finnish trio consisting of Minna Pensola, Antti Tikkanenand TuomasLehto. Featuring the same team, Volume 1 (BIS-2317) was described by a reviewer in Gramophone as 'entertaining, effortlessly enjoyable and beautifully performed' upon its release in 2017.